Purple Robin Reserve recently donated over $800 to TNT Youth Ministry. 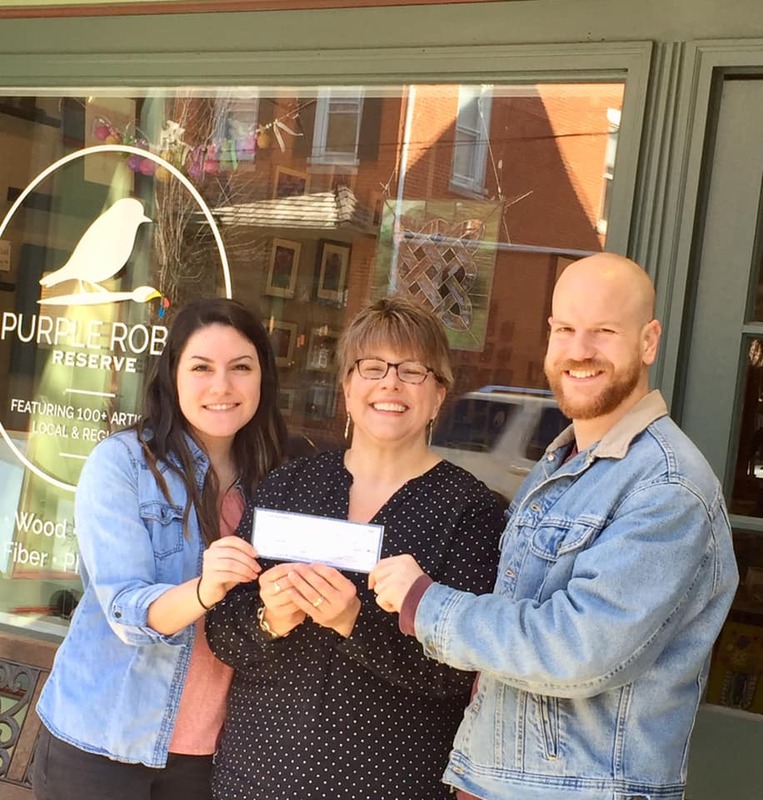 Shown here are Faith, Warwich Elementary Coordinator, and Kurt, Warwick District Coordinator receiving their organization’s check on a beautiful downtown Lititz day. Thanks for your support to make such donations possible! ©2018 Purple Robin Reserve, LLC. All Rights Reserved. Website & Hosting by RedX Web Design.